TitanMen Man Tunnel featuring: Extra-long double-ended pleasure stroker, made from ultra-realistic UR3 material. 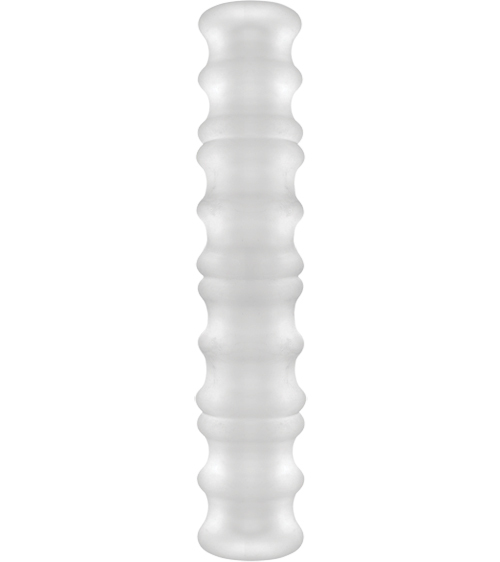 Soft and stretchy, This tunnel features a shaft with a revolutionary design — each end of this stroker has a unique texture. You can choose from intense ribbing on one side or soft massage beads on the other; you can even have a partner join in for some double-team action. Designed with multiple ergonomic hand grips, and made from non-phthalate, body-safe TPE material, including our antibacterial Sil-A-Gel formula, this item is proudly made in America. Item is as described and shipped fast.